I’ve been wanting to make strawberry dumplings for several weeks now, and I finally had a day off (and enough energy, ha!) to fulfill my craving ;). They were all I had hoped they would be and more! I ate dumplings until I didn’t want anything for supper…totally worth it though =). Here in the south, dumplings are commonplace. I don’t care much for savory dumplings, but I love me some dessert dumplings. Of course, it’s no surprise that I would prefer the ones made with sugar. You can use any fruit you want, really, but strawberry and blackberry are my favorites. 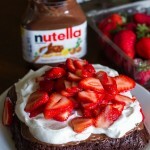 They may not be the prettiest dessert you’ll ever make but what they lack in presentation, they make up for in taste. If you like fruit desserts, you’ll love these dumplings. And they’re surprisingly easy to make too. I’m loving no-fuss recipes lately. Enjoy! 1. 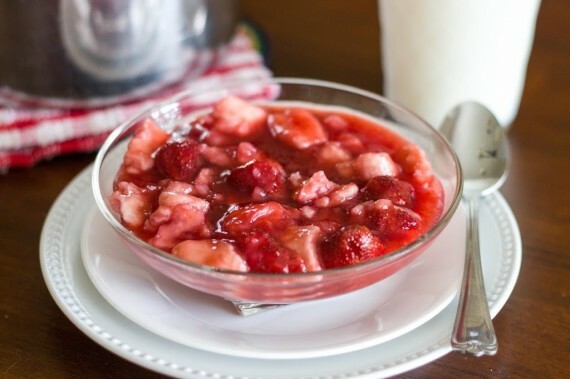 Combine strawberries, water, sugar, and cornstarch in saucepan over medium heat. Stirring occasionally, simmer until strawberries breakdown and mixture thickens slightly, 5-10 minutes. 2. Combine flour, salt, and baking powder in mixing bowl. Cut cold butter into flour mixture using pastry blender until butter is pea sized. Add milk one tablespoon at a time until dough forms a ball. 3. Turn dough onto lightly floured surface and roll into thin circle (1/8″ thick or so). 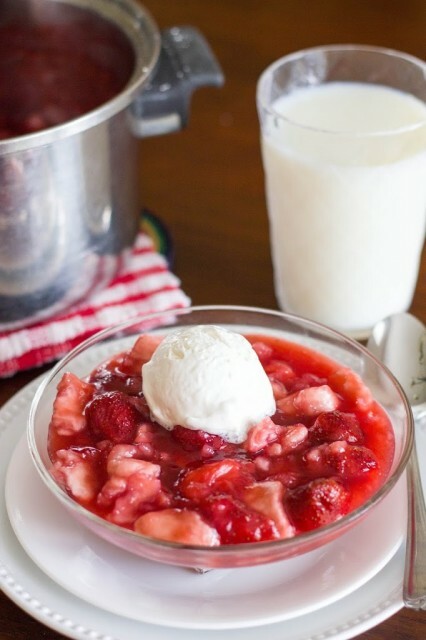 Cut into one inch squares and drop into simmering strawberry mixture. You may need to adjust your heat to keep your mixture just at a gentle simmer. 4. Cook 10-15 minutes or until dumplings are done. You want to be careful to just gently press the dumplings down into the strawberry mixture as stirring will break the dumplings apart. Best served warm. Store leftovers in the fridge. Great idea! Why in all my years have I not thought of these? Thanks for sharing at What&#39;d You Do This Weekend!